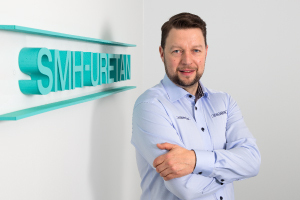 Sponsored by SMH-Uretan, Krister Savonen – a floorball player who is a member of Tampere-based SC Classic – was awarded with the World Champion and Best Defender title for 2016. Krister is swift and agile – just like SMH-Uretan! SMH-Uretan is based in the Turkkirata industrial estate in Pirkkala, Finland.